The other night I was wondering around downtown looking for my next photo… That sounds so idyllic – really, I was shuffling around in the bitter cold, wearing all the clothes I had with me, trying to stay warm and take photos at the same time, because I just had to get my next photo! 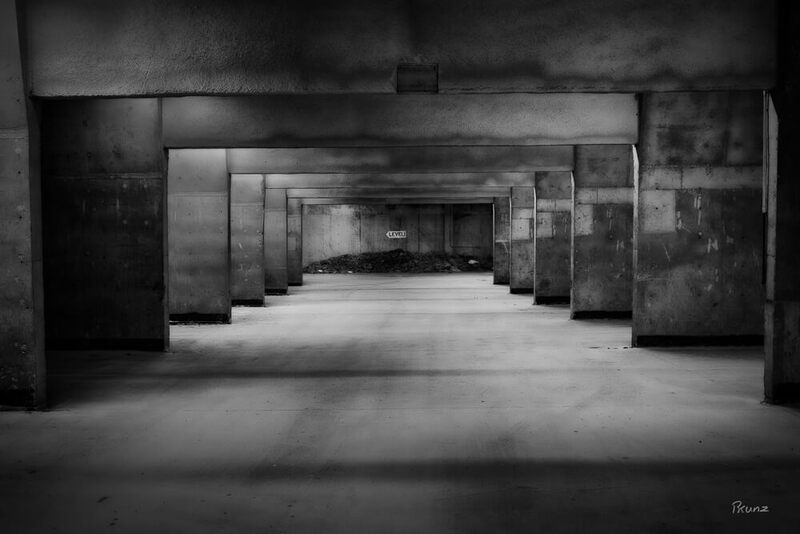 Anyway, I walked into a parkade that I had been eyeing up for a while and I suspected would have some interesting features to photograph. I wasn’t disappointed! There were so many neat lines and shapes that I could have spent hours capturing photos. But I was getting cold so I took a few photos and left for the warmth of my vehicle. This is one of the images. I really liked the leading lines and the sign on the end wall. There are plenty of other photos waiting in that building so I’ll be back…when it’s warmer!